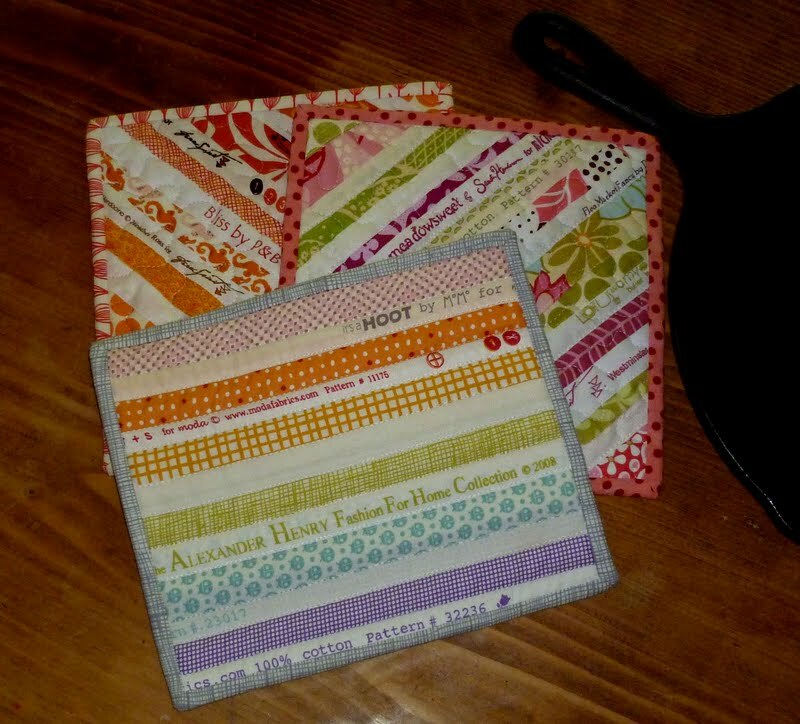 I first met Jules in the 3x6 sampler quilt mini bee block exchange on Flickr. Since then I have been consistently inspired by her creativity. And totally curious about her Flickr name and the name of her blog. Prepare for a picture-heavy post because there was just no way to narrow it down! Oh, how fun to be here – thanks so much for letting me play The Name Game. I’ve had a lot of fun learning about other bloggers’ names and I’m honored to get to play myself. 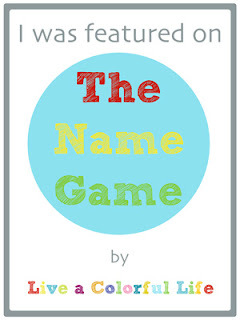 How did you choose your names? The “Chicken Julie” story is a good one. Ten years ago, at a July 4th picnic, I met my husband. He was the co-host of the picnic that I had been invited to by a mutual friend. It was a great party with lots of people who have become lifelong friends and tons of good food, including fried chicken. A few days later, when word got out that I had a date planned with their friend, two of the ladies at the picnic were talking about it. One said, “He has a date with Julie? Who’s Julie?” And the other responded, “Julie. You know. We ate fried chicken with her at the picnic. Chicken Julie.” And I’ve kind of been known as Chicken Julie ever since. 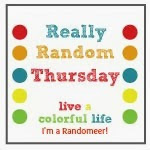 When I became active in the online community, it seemed only natural to go by that moniker – I used it to open my Etsy, Flickr, and Blogger accounts. 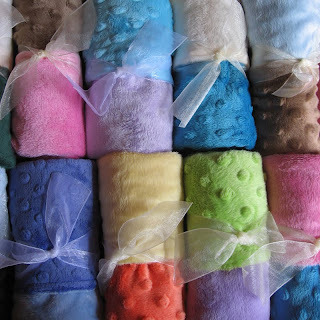 My business originally went by “Inkies and Smushies” – the former being my childhood name for blankets, and the latter being the name we called lovies when my son was born, since he’d smush them up to his face. Since I started my business based on minkee-backed blankets and minkee lovies, it seemed like a good name. But in reality, the name was cumbersome and hard to remember. Plus, my sewing had expanded to include so much more than those two items, so I’ve moved my [limited] branding from “Inkies and Smushies” to “Chicken Julie,” though I still own the domain rights to both. Now that you are recognized by Chicken Julie, are you happy with it, or do you wish you could change it to something else? I love being known as Chicken Julie, though most people think it has to do with a love of birds. Actually, I hate birds; I have a huge fear of them. They can attack you on MULTIPLE PLANES! Plus, they poop on you - a lion might eat you alive, but it won’t poop on you. 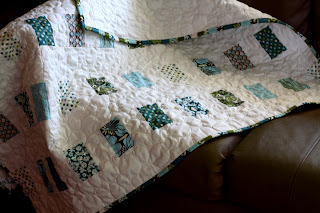 As for “From Three to Insanity,” I had never meant to make the blog a crafting blog. If you go back to the very first posts, they were written right after the birth of my daughter – we went from a calm family of three to a house of chaos. Insanity. I put a few blog posts under my belt and stopped blogging for more than a year. 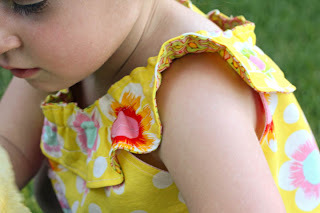 When I returned to the blog, I focused on crafting, but I never changed the name. “From Three to Insanity” isn’t really the right name for my blog, but without a better name for it, I haven’t changed it. Thanks, Chicken Julie!! It was so much fun having you here this week. About a month ago, Jules, who is also selvage-obsessed (probably explains why I like her so much!!) and I were contestants in a "selvage challenge" here. As soon as I saw that Spool Play was up against her quilt, I was sure who the winner would be. In fact, I sabotaged my chances even more voted for her myself! 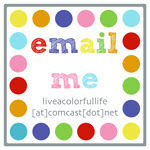 Please stop by and say hi to Chicken Julie, and check out her creativity, both on her blog and at her etsy shop. 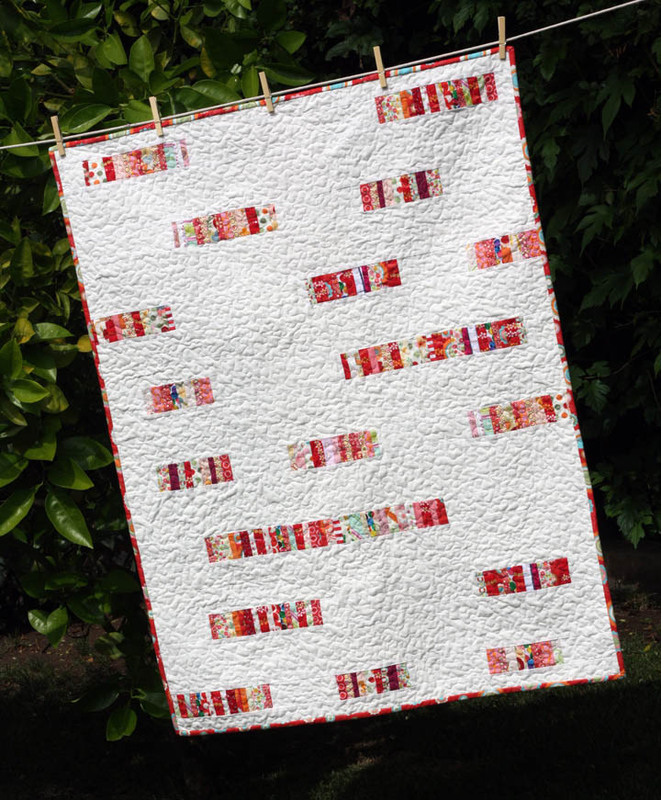 Next week Allisa will be here from quiltish. She has a lot of great advice for anyone thinking of starting a business. She has given me an incredible amount of information and in the process has become a good friend. Love her! Happy to see her here too. I have often wondered about her name, lol. Cindy, This is always such a fun post to read. And more selvage stuff! Woohoo! 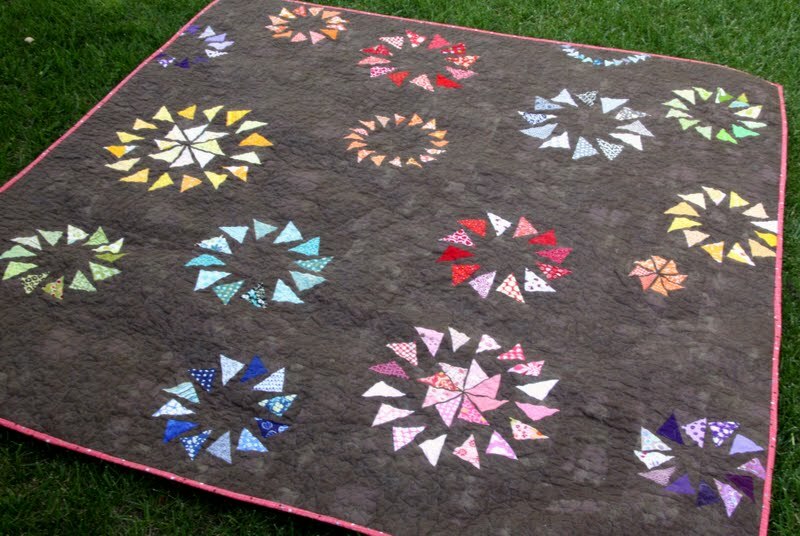 Fun to see these posts and read about all the different quilters. I looked for you on WIP Wednesday, but I guess you're having the same kind of day I am--barely able to think about a big project getting done. I missed reading all your posts while I was on vacation, so am catching up. Interesting stories! 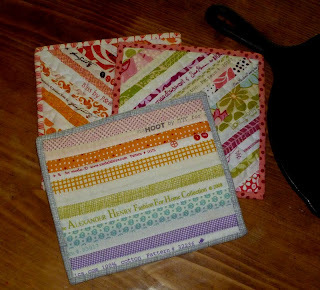 I like her selvage quilts and designs! I've always wondered about Chicken Julie and now I know - thanks for a great profile!